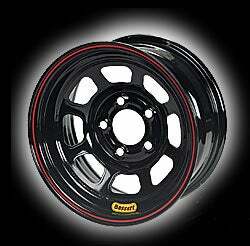 I was hoping to go with these wheels for the Corvair. Cheap, durable, the right size, give it that old school racer look. But the offset appears to be an issue. 4.5-4.75 is needed to not rub and they only go up to 4. I've been looking around but the magic combo of 15x6/7 and 4x4.5 bolts don't seem to be amiable to the offset and style.